Can anything new be said about rainbows? Certainly, from an artistic or literary standpoint, the possibilities seem endless. But in science as well, new ground is being broken into the nature of these enchanting symbols of hope in the sky. French scientist Jean Louis Ricard says he's come up with a new classification scheme that takes into account the sheer diversity of rainbow types out there. Alongside the classic 7-color banded bow (imprinted on generations of school kids by the mnemonic character ROY G. BIV), he has incorporated red bows and yellow bows, as well as rainbows with a variety of added components. 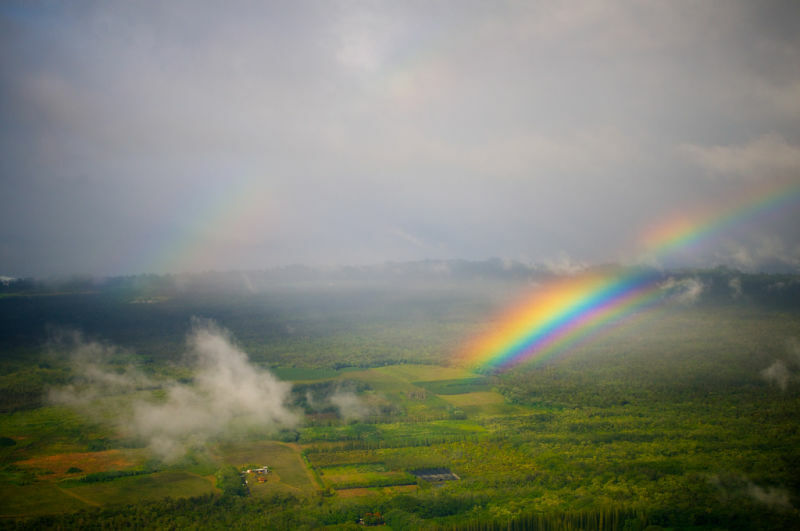 Rainbows are perhaps the best known phenomenon in atmospheric physics, but Ricard, of the National Centre for Meteorological Research in Toulouse, France, found the existing body of research wanting. 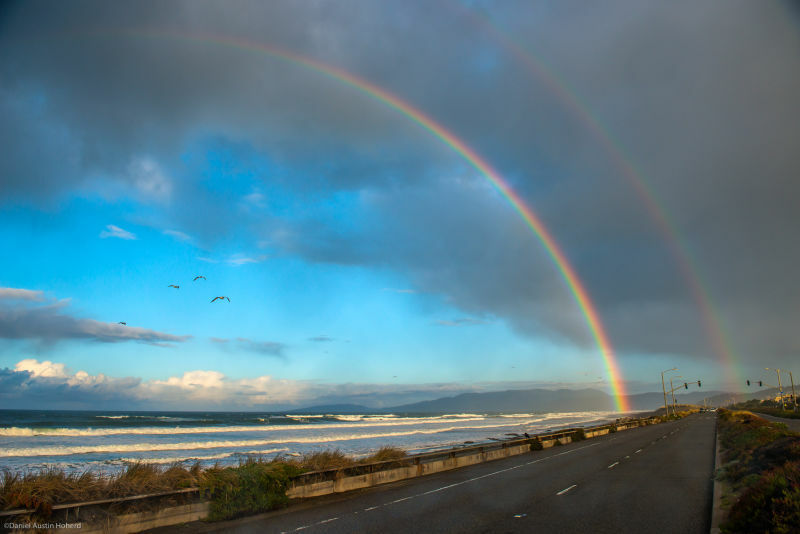 “Even though the study of rainbows can be traced back 2000 years they are still not fully understood,” he said at the recent American Geophysical Union in San Francisco. His new system divides rainbows into 12 types and the insight he's brought to rainbow science, if there is such a thing, is to define them by appearance rather than by the underlying physics. That may seem a backward approach for a physical scientist, but Ricard notes that doing so actually does incorporate more of the complex physical processes that go into forming rainbows. Rainbows form when sunlight passes through water droplets in the sky, usually left over from a rainstorm or passing shower. Rays reflect and refract (bend) off the droplet as it enters and as it exits, and the colors seen at any given time are a result of how big the water droplets are. For example, the largest droplets give bright violet and vivid green and red streaks but hardly any blue. As the droplets get smaller, more of the colors get washed out until you get mist-bows, which are bands of white in the sky. Ricard said that the textbook explanation of rainbows classifies them based on water droplet size, but there are many other factors that can influence a rainbow. Red or yellow bows can appear at sunrise or sunset and have to do with the low angle of the sun in the sky and the intensity of the light. And rainbows can vary based on the presence or strength of other accompanying bows, known as the Alexander band and supernumerary bows. His new schema assigns rainbows to a type based on a variety of visual characteristics. He says being more inclusive in this way means you don't “miss the point that other important physical processes are at work” in the formation of rainbows. Still, he acknowledges that rainbows are fickle and ever-changing. Just when you try to pin one down, a rainbow will slip away or become some new type or maybe even multiple types at once. Perhaps the water droplets at the foot are larger than those at the arch so that the color bands change with altitude — what kind of rainbow is that? Perhaps their elusiveness is what makes rainbows so appealing on so many fronts, including in science. “Very often people ask me if [I've] found a pot of gold at the end of the rainbow," Ricard reflected, "and the answer is, 'No.' But I have found happiness in the rainbow."